At our Open Day, we set the venue as if it were a Wedding Day, you can see our partnered wedding decorators and how the venue has been decorated, see the Dj Set up along with our Floral Displays and discuss your wedding photography plans with our partnered photographer. We will also be serving Sunday Lunch at this Open Day too. You will be able to view the venue and meet with our wedding planners, but on hand you will be able to visit the many offerings on show by various suppliers. Whether you are a new couple thinking about getting married at Craig Y Nos, or a couple having already booked you are welcome to come and meet the suppliers and if you have booked elsewhere and are looking for inspiration feel free to visit us. 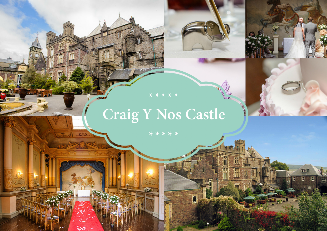 If you have booked your wedding at the Castle, contact your Wedding Planner, to discuss our affordable Wedding Tasting Menu emai weddinginformation@craigynoscastle.com or call 01639 731167 or email your wedding planner direct - click here for their details. 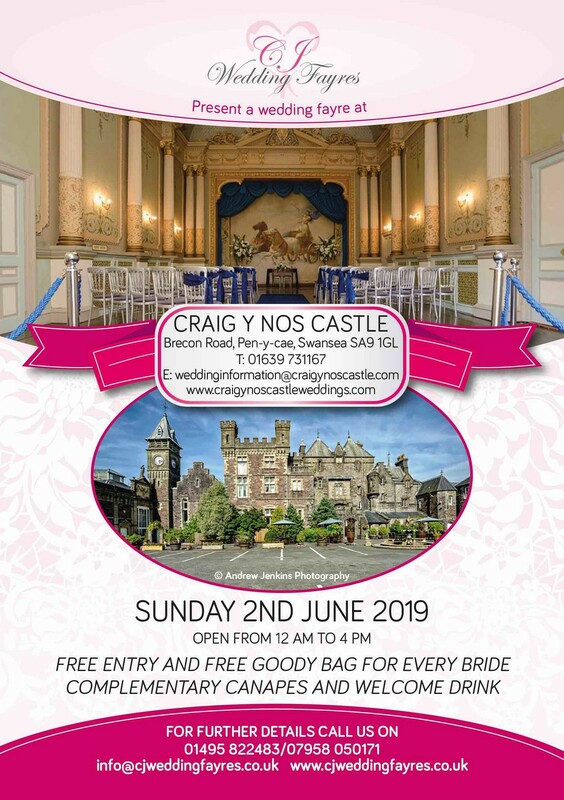 The above is a Wedding Fayre hosted at Craig Y Nos Castle, by C J Wedding Fayres - there will be a host of suppliers for you to visit and discuss to get ideas for your own Wedding.